There is difference between the terms casualty and fatality. A fatality is defined as death of a combatant during time of war. A casualty is a military individual lost through death, wounds, injury, sickness, disease, internment, capture, or missing in action. A casualty is a combatant (soldier, marine, sailor, etc.) who is expected but unable to fight in a battle. 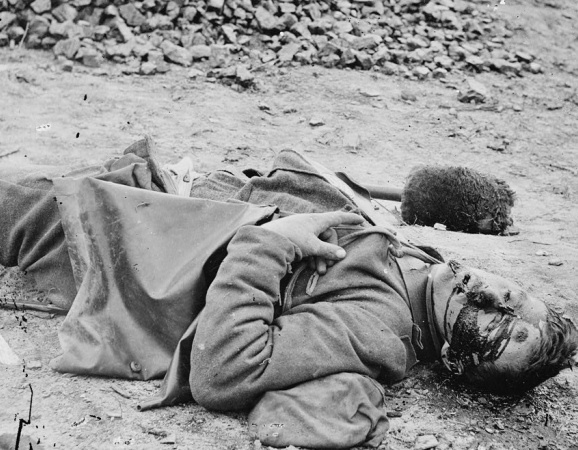 Many soldiers became casualties several times during the Civil War: some soldiers were captured during multiple actions; others were wounded in several battles; and some were too ill to fight in the engagement. A basic definition of fatality is any combatant who dies during the war, including killed in action, mortally wounded, died of disease, accidental death, and deaths from all other causes, including suicide. A casualty may also be defined as any combatant who is absent or unaccounted for during the war. An estimated three-and-a-half million men fought in the American Civil War and approximately 620,000 perished, which was more than all of America's combined combat fatalities from previous wars.. There are various reasons why there is not an exact fatality and casualty count for the American Civil War: incomplete, inaccurate, and destroyed records; casualty exaggerations; several died from disease after the war; missing-in-action (MIA), which is an implication since the soldier may have deserted, been captured, or been completely blown to pieces in battle. The general consensus (best estimates) is 618,000 to 700,000 fatalities. Sadly, however, there is no record or research tracking and studying how many wounded and diseased soldiers died during what is commonly referred to as the "Aftermath." Diseases and Napoleonic Tactics were the contributing factors for the high casualties during the American Civil War. 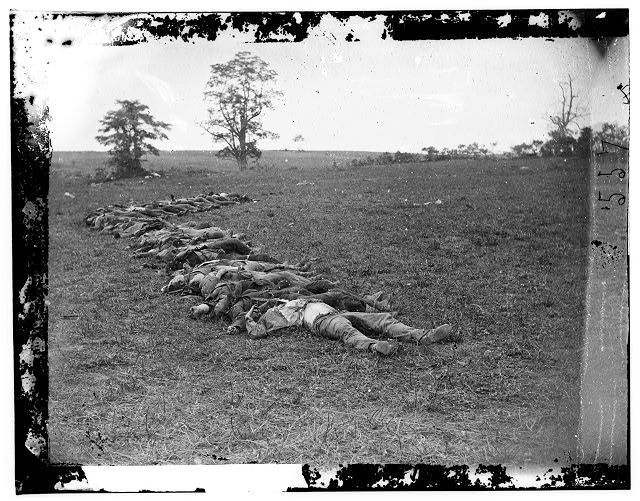 The tendency to exaggerate enemy desertions and casualties, while minimizing their own, was characteristic of Union and Confederate armies in their respective reports of the many skirmishes and battles of the American Civil War. Each side was also eager to enhance its own morale by writing favorable reports. According to Lt. Col. Walter Clark's Regiments: An Extended Index to the Histories of the Several Regiments and Battalions from North Carolina in the Great War 1861-1865, p. 5: "The majority of troop rosters and official military records had been forcibly confiscated by Lincoln’s hordes or wantonly destroyed.” But the Confederate Army had intentionally destroyed many of its own records as the sun was setting on the beleaguered Confederacy, because the records may have been used against many Southerners in future cases of treason or trials of murder. When one totals the Americans that died in the Revolutionary War, War of 1812, Mexican American War, Spanish American War, World War One, World War Two, Korean War, and Vietnam War, it is less than the total American Civil War casualties. Sources: Fox's Regimental Losses; United States Department of Veterans Affairs; Library of Congress: American War Casualty Lists and Statistics; Official Records of the Union and Confederate Armies; National Park Service.